Five top banks that are alleged to have been involved in the transactions of ‘Season II’ of the National Youth Service scandal have been slapped with hefty fines amounting to hundreds of millions of Kenyan shillings. According to investigations by the Central Bank of Kenya, the five banks were used by persons suspected of transacting illegally acquired NYS funds using the financial institutions. The banks include; Kenya Commercial Bank, Equity Bank, Standard Chartered Bank, Diamond Trust Bank and the Cooperative Bank of Kenya. They have been fined a total of Sh390 million by CBK. Of the amount, KCB will fork out the highest penalty of Sh149.5 million followed by Equity Bank which has been hit with a fine of Sh89.5 million. Standard Chartered completes top three with a fine of Sh77.5 million. DTB and Coop Bank have been fined Sh56 million and Sh20 million respectively. 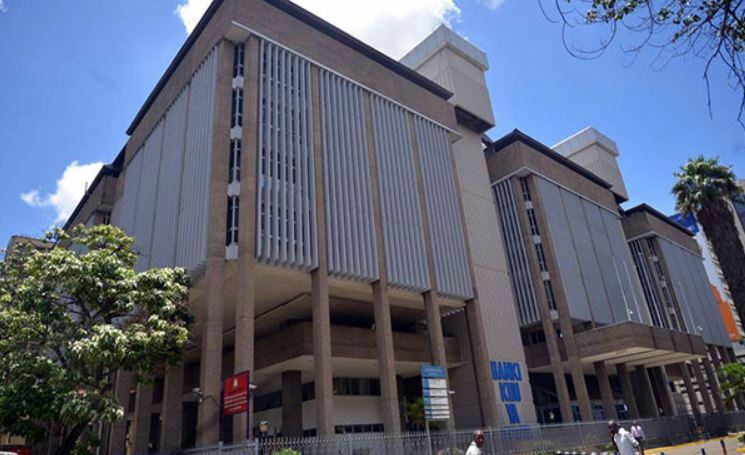 In a statement on Wednesday, Central Bank indicated that over Sh3.6 billion was wired through the banks, with the largest flow of Sh1.6 billion having been channeled through Standard Chartered Bank. Equity bank and KCB reportedly handled Sh886 million and Sh639 million respectively while Diamond Trust Bank is said to have facilitated Sh162 million of the NYS loot. “CBK has discussed the detailed findings with Boards of Directors and Senior Management of each of the banks. Each has expressed their strong commitment to be fully compliant on all aspects of the law, and addressing the identified lapses through time-bound Action Plans,” reads the statement from CBK. The penalties are, however, not determined by the amount handled by the bank but by the extent of violation of monetary and banking laws. Equity Bank, KCB and Diamond Trust Kenya have since confirmed receiving communication from CBK on the said financial dealings and penalties. In separate statements sent to the media, the financial institutions said they are reviewing the reports and will respond to the issues raised within the stipulated 14-day period. More banks that are reported to have dealt with funds from the NYS scandal are set to be identified as further investigations continue. “The second phase of the investigations will involve use of these findings by other investigators, inter alia, assessment of criminal culpability by the Directorate of Criminal Investigations (DCI) and the Office of the Director of Public Prosecution (ODPP). “CBK has shared the findings with the relevant investigative agencies for their appropriate action. Further, an additional set of banks will also be identified and investigated,” reads the statement by CBK.